This year was the inaugural running of the 50K version of the Quest for the Crest, also marking the second race in the 2015 U.S. SkyRunner Ultra Series. I performed well with a 2nd place finish in the first race of the series in March at the Georgia Death Race 68 Miler, and wanted to get another good result at Quest to add to my points in the series standings. After feeling really good with the challenging GDR course, I was feeling confident about running the Quest, and excited to see the rugged Black Mountains up close. After an early wake up time of 3:55am Josh Arthur from Boulder and training partner Tim Sykes and I left the "Duck Cabin" to drive to the finish location at the base of Mt. Mitchell (highest point East of the Mississippi, 6684') to be shuttled to the start line. The start line was about 20 minutes away in the middle of a country road. The course was simply laid out. 3 climbs of 3,000+ feet each and 3 descents of 3,000+ feet each. Besides the vertical gain and loss, the trail is extremely technical in most sections with rock outcroppings requiring using hands to scramble up, roots, and dense forest vegetation, making only a few short sections that were truly runnable. The race started on a half mile road section before entering the trail. There was no flat start. The first 3 miles was the course of the Vertical K (VK) race that took place the previous morning where Joe Gray ran an impressive 36 minutes. Fitting over 3000' of vertical gain in under 3 miles isn't easy to do, and it requires the route to go straight up with no reprieve of the punishing ascent. From the very fist mile my legs didn't feel very good. This wasn't a good sign. Even when the terrain was smooth enough for my competitors to run up, I found myself still in my slow powerhike mode. I brushed it off as just being from the initial uphill shock and hoped I felt better once I descended. Once we crested the ridge there was about a mile section of flatter terrain with spectacular views. Even though this was flatter, it quickly became evident that running was still a struggle due to a grassy overgrown trail with rocks hidden beneath. On the long downhill into Bowlens Creek AS (mi. 7.5), I was finally able to open it up a bit and hit 3 consecutive sub 7:30 miles. I passed a couple of runners and led a train of about 5 guys barreling down right behind me. This section was relatively smooth compared to the rest of the course, but I had to ride the fine line of not bashing the quads too badly because there was still a long ways to go after the turnaround. Strangely, even though I was happy to be running faster, my legs didn't feel quite right. They were still feeling heavy and lacked any spark that I hoped I had on race day. Turning around going back out of Bowlens Creek to the ridge again required another 3000' climb, one that I hoped would include more running. While it was smoother than the starting climb, I still had trouble getting into a rhythm going uphill. Tim, who I had passed on the downhill, passed me while running and I had to start powerhiking again. We had similar training coming into the race, but it was obvious that he was feeling much better than I was on the climbs. After an hour of climbing the 4 mile ascent we crested the ridge and after a couple miles it was time to make the long and technical downhill of Colberts Ridge. Caleb Denton and Ron Brooks had caught up to me at this point and we also ran into Tim who was struggling on the technical downhill terrain. The Colberts Ridge descent starts around 6100' and makes its way down to 2700' in just 4 miles. I took a minor fall after misjudging some wet roots hugging a rock outcropping. My legs crumbled underneath of me and I found myself on my back against the near vertical rock. After a few moments of evaluating myself I realized I had only scraped my arm on the rock and I was otherwise fine. Looking back I think this made me a bit hesitant the rest of the downhill. I let Caleb and Ron go around me and tried to manage the technical downhill alone without the pressure of having two runners close on my heels. After the worse of the steepness and rocks thinned out, and about a mile before the aid station, I tried to push hard on the smoother section. As I was running downhill my right quad suddenly seized up. I had to stop on the trail to massage it and try to loosen it up. After popping a quick gel and S!Cap I was able to get going again, but in my mind I questioning how I could go on if this was happening so soon in the race! I rolled into the Colbert Ridge AS at 18.2 miles knowing I lost a lot of ground on the challenging downhill. After the race, I found via Strava segments that I ran 10 minutes slower than 4th place finisher Scott Breedon on this 4 mile downhill alone. This just doesn't cut it, and leaving the AS, I knew that I was out of the running for a top finish. If any solace came, I told myself I just had one more hill to go. I ran strong out of the AS trying to hit the next long ascent harder since it wasn't as harsh of a grade. Before the real climb began there was a short downhill where my left quad seized up in similar fashion as my right one a couple miles before. Again, this took about 3 minutes of standing in the trail before working it. It seemed like popping a quick gel and S!Cap worked again, but the pain and locked up feeling had me worried about the last 12 miles of the race. I was only a mile past the aid station and I had to really fight the urge to not turn back and drop. It is in moments like these that I question why I run ultra-marathons. Up to this point in the race, I had no real enjoyable moments. Even in the first mile, I was not feeling good and I hurt more than I wanted to just 18 miles into the race. After the race I told myself that it was a mistake that I even attempted the race, that I wasn't prepared for this type of terrain, that I couldn't train for this stuff therefore I couldn't compete. But, now after a couple days to savor the race, I realize that this type of race is the reason I run ultra-marathons. To quench an urge to get outside of my comfort zone, do something harder than the typical. Yes, I was under-prepared for the technical and steep downhills (my quads were evidence of that), and there were moments of decisions testing my willingness to go forward, but these are moments that I sit and think about at night. Sometimes it is not just about running races that you are good at. When I'm honest with myself, I know I am better suited at rolling courses like Ice Age 50 where I am able to keep a consistent running movement. While it is good to harness what you are good at, I have a love for mountains. It is a way for me to test my limits, physically, and more so mentally. This is a large reason I continue competing in ultras, to see what I can do, an experiment. Soon after my quads seized up for a second time Hillary Allen came prancing up the trail behind me. She was the lead female, and by my view, she must have been pretty far ahead because she was moving up the mountain with ease. We had met the evening before and I knew that she had won the US SkyRunner series in 2014. When she caught me I told her I wanted to try to help her along, but in reality, I needed her to help me. So for about 4 miles I ran/hiked in front of Hillary trying to make more positive progress. Chatting with her along the course took my mind off my sore legs and eventually we reached the summit. Hillary ended up leaving me for good on the short out and back up to the highest point on the course. In this section I also saw 3 of the guys that I had been trailing for most of the race about a mile ahead of me. We ran on top of the ridge for 2 miles after the Big Tom AS before making the final 3000' drop in the last 4 miles. After running a couple sub 10 minutes miles (!!) on top I passed Michael Barlow who was having a hard time with his legs. Oddly enough, I started feeling like I had more energy and strength as I finished the race than I did starting the race. Although I didn't run the last downhill with any alluring speed, I was happy to be running without my quads seizing up and to have the focus to push harder at the end than I did in the first half of the race. I didn't pass anymore runners, but I was reminded why pushing through the rough patches are worth it in the end. I ended up finishing 9th place overall, 8th male, in 7:15:42. Thank you to sponsors Ugo Bars, Swiftwick, SOS Rehydrate, and Julbo for the support! It is great to have you along for the ride, even in the rough patches. While I didn't finish how I hoped to in this race, it is still always a great day to spent time in rugged mountains such as those in the Black Mountains. I was able to meet some new friends and compete against some men and women who really ran great at Quest! 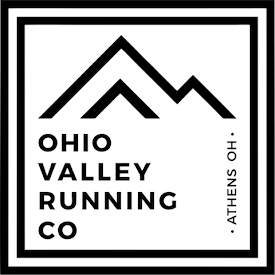 Now, it is time to recover as best I can in three weeks before I take on the Mohican 100 Miler on June 20th, in my home state! I am still drawn to the 100 mile distance more than other races and looking forward to my 4th one.